I’ve been invited to go to Kauai! My bucket list isn’t too long. I’m content with the simple things in life. Kauai …… Hawaii! Surely of bucket list quality! Traveling has been an adventure for me and I’ve always wanted to ‘seize the day’ when opportunity knocks. This is one of those times when opportunity is knocking at my door and it’s an opportunity I’d be reluctant to refuse. When I was a child we weren’t taught to make a bucket list. We just let life happen and went with the flow. Our parents chose what they felt was best for us. We were together and that made for happiness in ‘seizing the day’. My life has been full in many ways, especially in the meaningful things. As a young woman, wife and mother, my joy (and sorrows) have been my ‘seize the day’ moments as I fulfilled the loving roles the best I could. God is with us through it all ~ the good and the bad. I worked my bucket list into those years in my own way. Now I’m given those moments to find joy in the gifts that I find along the way. Those moments when the universe smiles down on us and you know it is good. Friends that I meet come into my life and fill me up where I need to be filled, and teach me lessons that help me to grow. Opportunities fall in place when I’m open to receive them and when I trust my God-given intuition that the timing is right. So, this opportunity has gracefully fallen into my life. I thought my bucket list had just about been checked off and I am always content with the simple things in life. A relationship is growing and he’s invited me to Kauai. It’s FlashBack Friday~ A time of the month where you can republish an old post of yours that maybe didn’t get enough attention, or that you’re really proud of, or you think is still relevant etc. This Blog-Go-Round is hosted by Jemima Pett and originally introduced by Michael D’Agostino from A LIFE EXAMINED. That’s where you’ll find the rest of the participants or to join up yourself. The post I’ve chosen for this month first appeared on ME IN THE MIDDLE on November 7th, 2015. To see the original comments to that post you can click on the title below to be taken to the original post. 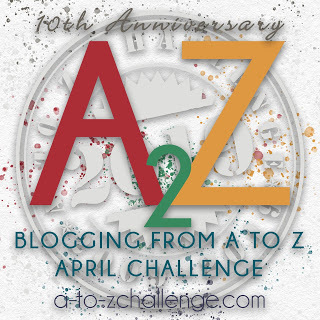 Last November I was in the middle of taking an On-line Art Journaling Course with Joanne Sharpe ~ Draw Your Awesome Year 2014. 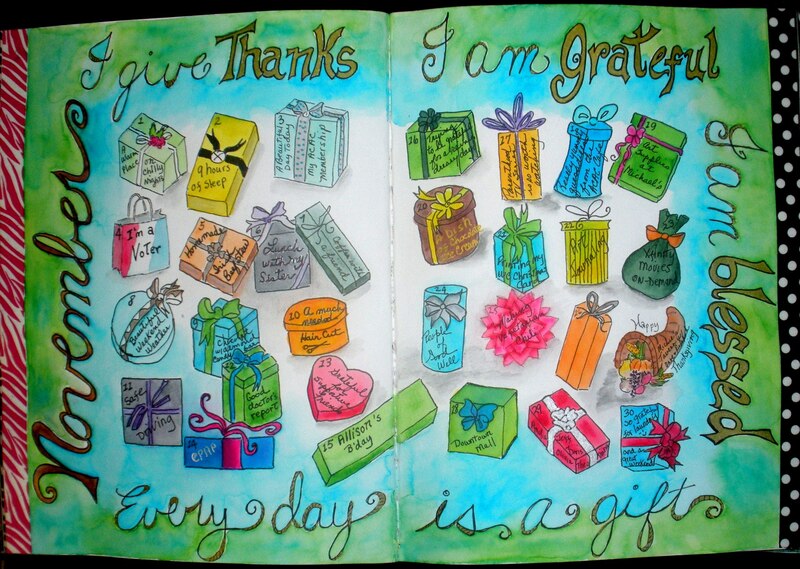 For November we used the theme ~ Something I’m Grateful For Each Day Of November and we illustrated each day as gifts. It was such a rewarding exercise! So, when WordPress Writing 101 gave the assignment to make a list, I decided to do something similar except make a list of a dozen gratitudes for 2015. It’s been a great year all the way through! I love waking up in the morning and seeing the light of the new day streaming through my window. Life is a gift! This year has given me wonderful friendships with lots of new experiences. I’m so grateful for them. The Joy I’ve found in creating watercolor sketches and focusing in on the details of our beautiful world. Renewed strength and health so that I’m able to walk five miles along a wonderful scenic trail. I’m at a point in my life where letting go feels really good … letting go of people and expectations. Finding my inner self and no longer being a self critic . So much gratitude for this. A knowledge that whatever comes my way, good and bad, I can meet it with strength and courage. A year without any health problems. In fact, I’ve improved along the way. How about that! The courage to ask for support and guidance while making a commitment to myself! I matter! Grateful for the healing power of writing. A path to the clarity of finding my own voice. A sense of community ~ of connectedness ~ with people, near and far, who are there for me.